#SweatsuitDecember marks the celebration of all things fleece, where giving fucks is at an all-time low and stunting hard is the priority. Whether it's getting comfy with your bird, skating your local spot, or screaming for your favorite team, do it in sweats, like a boss. 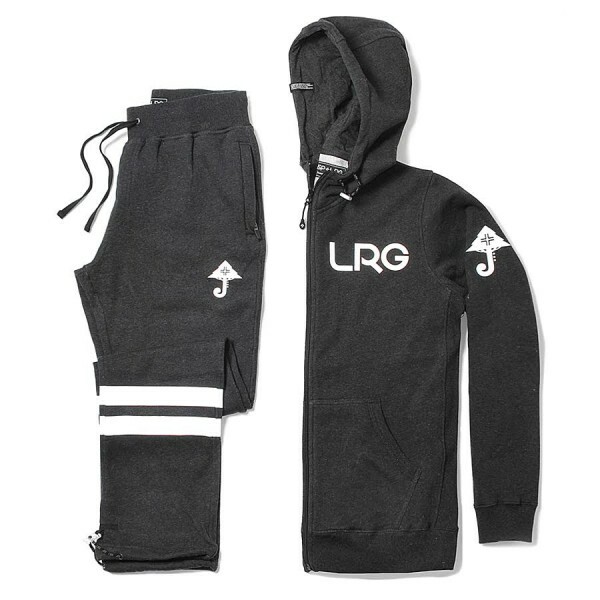 To mark this year's Sweatsuit December, LRG partnered with Jimmy Sweatpants to create the JSP x LRG Performance Sweatsuit, designed with: Moisture wicking fleece, a quilted hood, adjustable bungee cords on the ankles, nylon coiled zippers, interior grosgrain loops to hook on keys and headphones, metal eyelets for ventilation, stretch gussets for comfort, and reflective branding and taping for visibility. #SweatsuitMasters – fleece like you've never seen before.